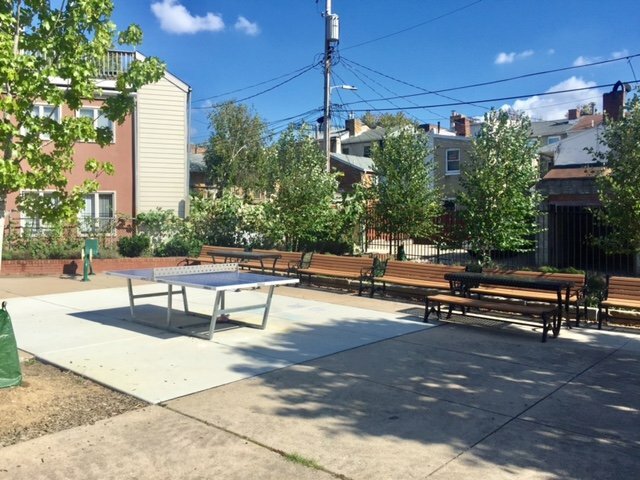 In a sea of rowhomes and apartment buildings in downtown settings like South Baltimore, parks are an essential aspect of urban living. 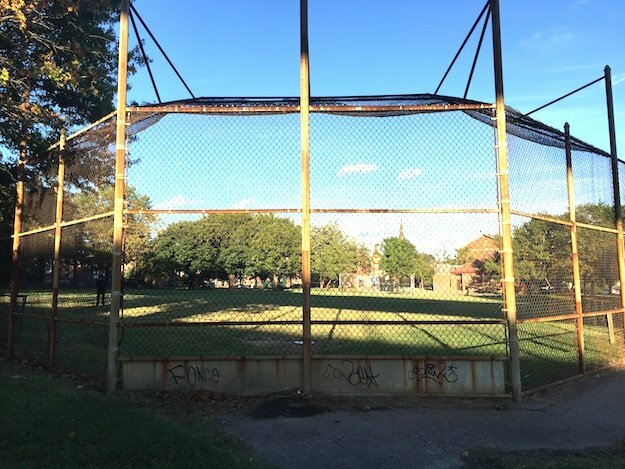 South Baltimore has many parks which are popular gathering places for sports, fitness, dog walking, children’s activities, events, relaxing, and learning about Baltimore history. The neighborhoods take a lot of pride in these parks as many volunteer groups have formed to maintain and bring activities to these public spaces. Many public and private partnerships have also been formed to rejuvenate local park facilities. Riverside Park is a 17-acre park in the Riverside neighborhood. It includes pathways, a pool, a gazebo, gardens, athletic facilities, and historical monuments and signage from the park’s role during the Battle of Baltimore in the War of 1812 when it was known as Fort Lookout. A Riverside Park Master Plan was created by Baltimore City Department of Recreation and Parks and landscaping architecture firm Mahan Rykiel in 2010. Phase One of this plan was implemented in 2012 before the Star-Spangled Sailabration. The historical portions of the park were renovated with new pathways, lights, trash cans, and benches. 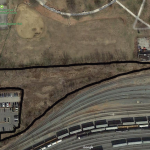 Phase Two is now moving forward after Baltimore City reached a deal with CSX to acquire a triangular piece of land adjacent to the athletic fields. 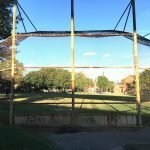 Jackson Fisher, who coordinates activities for the Friends of Riverside Park, a subcommittee of the Riverside Neighborhood Association (RNA), told SouthBMore.com that 2018 will be used for environmental testing of the new land and finalizing a design, and that construction would likely begin in 2019. RNA has worked with Recreation and Parks during the planning of this expansion. Phase Two is expected to include full athletic field renovations of the Hap Hall Memorial Field and the adjacent sports field that is used for soccer, football, and ultimate Frisbee. The improvements will include new drainage, sod, lighting surrounding the fields, fencing, dugouts, and a seating area for spectators. The new land will allow for the short right field fence of Hap Hall Memorial Field to be extended, which would also allow for a wider playing field for soccer and football. RNA is also hoping the additional land will be used for a parking lot which could accommodate 15 to 20 cars. The basketball courts will also be redone. The red field house, which was once a recreation center, would also be repaired and include new functional bathrooms. Funding: This project will be funded with $1.9 million in Baltimore City capital improvement funds. Friends of Riverside Park also coordinates many cleanups and plantings in the park. Waterfront Partnership of Baltimore has been leading a redevelopment of Rash Field, the seven-acre park on the south shore of the Inner Harbor. Rash Field is currently used for Baltimore Beach Volleyball and as a memorial for the Pride of Baltimore. Its running track and bleachers are often used for people exercising and the pavilion is often a gathering space for skateboarders and dance groups. It was originally built for Southern High School (now Digital Harbor High School) athletics in 1975. The new plan for Rash Field includes The Sand Box, a seven-court beach volleyball area near the center of the park; The Lawn, a natural grass field, which will be used for kids soccer games, pick-up sports games, events, as well as space to relax; Jake’s Skatepark; The Game Allee for bocce ball and ping pong; and the Play Lab for kids, which includes a nature park and kinetic play area. The plan includes the demolition of the concrete bleachers around Rash Field. The bleachers against Key Hwy. will be replaced by a green wall. There will also be changes in elevation and grade for running and walking paths, landscaping, and gardens. This area will also be the new home of the Pride of Baltimore memorial. The bleachers on the western end of Rash Field will be replaced by the new pavilion that features a top deck that overlooks the Inner Harbor and has views of the park, skyline, and waterfront. A café with an outdoor patio will be located on the first floor of the pavilion. Work will begin next summer. The project will either be done in two phases or one phase depending on the availability of funds. If done in phases, Phase One would tackle the pavilion and the attractions to the west of the pavilion, which includes The Play Lab and Jake’s Skatepark. 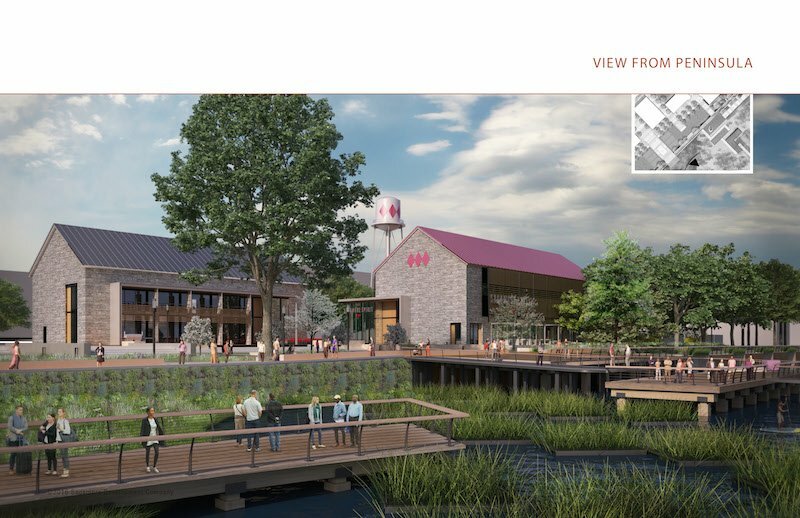 Funding: To finance the $20-million project, Waterfront Partnership has $10.5 million in capital funds from Baltimore City (although at this time the funds would be released in phases) and $2 million from the State of Maryland. It is looking for sponsors and grants to fund the rest of the redevelopment. The new design is more conducive to sponsorship opportunities within the park, according to Waterfront Partnership. Key Brewing Company has collaborated with local breweries Checkerspot and Stillwater Artisanal to create a specialty craft beer with sale proceeds going to Jake’s Skatepark. It is named in memory of Jake Owen, a South Baltimore resident, avid skater, and sports lover, who was killed in 2011 when he was five years old by a cell phone-distracted driver. Jake’s father Spike is a partner with Key Brewing. Baltimore Beach Volleyball currently maintains its portion of Rash Field. 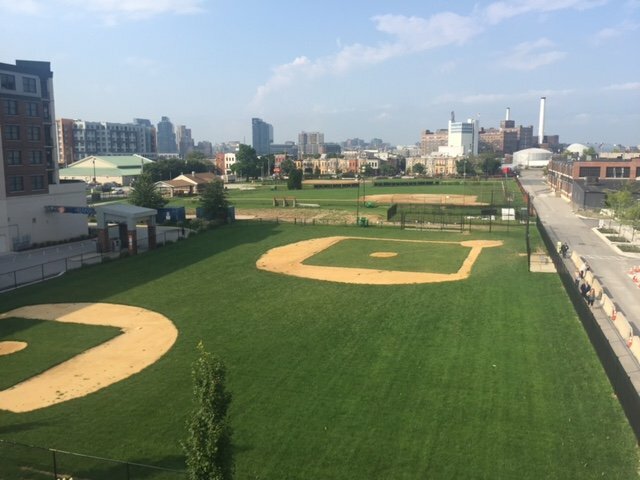 South Baltimore Little League (SBLL) is a four-field little league baseball complex at 1100 E. Fort Ave. in Locust Point. The complex is owned and maintained by SBLL. The fields were gifted to SBLL by Coca-Cola in 1997. Volo City also uses the SBLL facility for adult and youth sports. Numerous improvements are currently underway at the facility. Funding: SBLL reached an agreement with McHenry Row Developer Mark Sapperstein of 28 Walker for more than $250,000 in improvements to the baseball facility. The improvements, along with a five-year landscaping and maintenance agreement, are a donation from 28 Walker. SBLL’s facility is surrounded on three sides by McHenry Row which features retail, apartments, and offices, as well as a future hotel. New fencing and landscaping along Fort Ave.
Work has already begun on these improvements and is expected to be completed by the end of the year. This will be the second round of improvements by 28 Walker, which added new turf, backstops, dugouts, fencing, and landscaping around the perimeter to fields 3 and 4 in 2015. As part of the agreement, SBLL has granted an easement that allows 28 Walker to use eight feet of land behind fields 1 and 2 to install a new sidewalk along Porter St. In 2013, Domino Sugar donated a new back stop and dugouts to field 1. Under Armour has also made donations including a scoreboard on field 1. Last Monday, Recreation and Parks and Mahan Rykiel Associates held a workshop with members of Sharp-Leadenhall and the surrounding communities as part of the public process for creating a new master plan for Solo Gibbs Park. Development of the master plan will be an eight- to ten-month process with a final plan presented in the spring of next year. Solo Gibbs Park is an approximately 2.5 acre park. It sits adjacent to M&T Bank Stadium and the I-395 bridges to the west, Sharp-Leadenhall and the Stadium Square development to the east, and Otterbein to the north. It currently features a playground, two tennis courts, two basketball courts, a baseball field, a small recreation center, a splash pad, paths, and green spaces. Caves Valley Partners (CVP) is the developer of Stadium Square, the $275-million redevelopment project on three consecutive blocks of South Baltimore and Sharp-Leadenhall located between Cross St. on the north, Race St. on the east, Leadenhall St. on the west, and both sides of Ostend St. to the south. The northern most block of Stadium Square is directly across the street from Solo Gibbs Park. CVP met with Recreation and Parks a few years ago to get the ball rolling on a possible redevelopment of the park. CVP took the lead on trying to determine what the community wanted and putting together private funding sources for the renovation. CVP worked with RK&K Engineers and shared four concepts with the community. “After a number of community meetings on the subject, no consensus could be reached on the part of the community,” said Arsh Mirmiran of CVP. 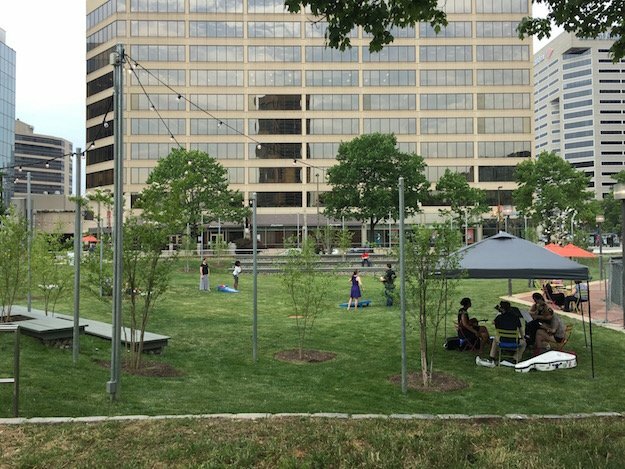 The Baltimore City Mayor’s office determined that a formal charrette process led by a landscape architect would be the best solution to reach the common goal of getting the park redeveloped. The public process is now beginning to determine the community’s vision for Solo Gibbs Park. The master plan will come up with short term and long term goals for the park along with maintenance strategies. It will act as a guide for the City’s future capital improvements and for identifying potential funding partners. Funding: The master plan is funded by Recreation and Parks. Funding sources and partners for the improvements will be determined. A football field would require relocating the recreation center and the splash pad, and replacing the existing baseball field. The park is also adjacent to Sharp-Leadenhall Elementary, which is scheduled to close in 2020. The school includes a pool, and CVP had floated the idea of turning it into the new recreation center. In addition to the Ravens, the South Baltimore Gateway Partnership (SBGP) could be another source of funding for the project. The SBGP manages half of South Baltimore’s share of casino Local Impact Grants generated by Horseshoe Casino Baltimore, Maryland Live, and MGM Grand National Harbor. A pocket park at Melvin Dr. and Penn St. in Ridgely’s Delight recently underwent renovations and was rededicated in September. The project was a partnership between The Ridgely’s Delight Association (RDA), the Casino Local Development Council (LDC), Parks and People Foundation, and Recreation and Parks. The pocket park has been in existence since the early 1980s and has a kids playground, which was redone by the City in 2007. But, it became rundown and pretty under utilized for the last 10 years, according to Reutter. Former RDA president Chris Conlon got the ball rolling on the project in 2012. Along with the playground, the rebuilt park now has new concrete, reconfigured planters, new trees and shrubs, new exercise equipment, a reconfigured wall, new picnic tables, new lighting, and a new water source. RDA contributed a ping pong table and bike rack to the project. Funding: $70,000 was contributed to the project from the LDC, Recreation and Parks contributed $12,000, Parks and People contributed $37,000, and RDA contributed $7,000. 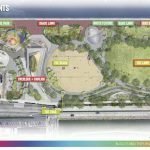 West Waterfront Park will be a large expansion of West Covington Park, which was built in by the National Aquarium and is now owned by Sagamore Development Company. It will feature 28 acres of space along the Middle Branch. Sagamore Development Company has announced a partnership with Ripken Baseball in collaboration with Recreation and Parks to design athletic fields at this park. Ripken Baseball is a sports entertainment company that represents the business interests of Cal Ripken, Jr. and Bill Ripken. Ripken Baseball has helped design state-of-the-art fields across the United States, including multi-field Ripken Experience complexes in Myrtle Beach, SC; Pigeon Forge, TN; and Aberdeen, MD. No timeline has been set for these improvements at this time. 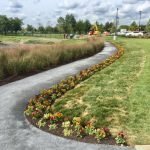 West Waterfront Park will also be part of a trail system in Port Covington and the Middle Branch. It will be connected to Westport by a pedestrian and bike swing bridge at the site of the now-defunct Spring Garden Industrial Bridge. 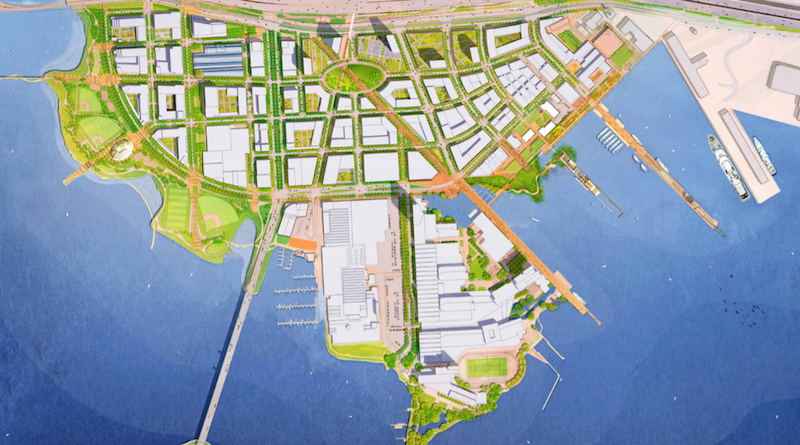 Funding: To pay for infrastructure, parks, and ecology improvements, Port Covington has been approved for a $534,795,000 TIF from Baltimore City for its 235-acre redevelopment project. A TIF is a bond issued to Baltimore City or any other jurisdiction that is leveraged and backed by a real estate development. TIFs use the increased property tax revenues at the development to pay off the bonds. When the bonds are paid off, all property tax revenues go to the city coffers, but the current property tax revenues at the current rates continue to go to the city. In Sagamore’s approved TIF proposal to Baltimore City, $56,010,000 was set aside for West Waterfront Park. $15,337,000 was set aside for the swing bridge. West Covington Park was funded through sate and federal grants. Conceptual rendering courtesy of Sagamore Development Company. 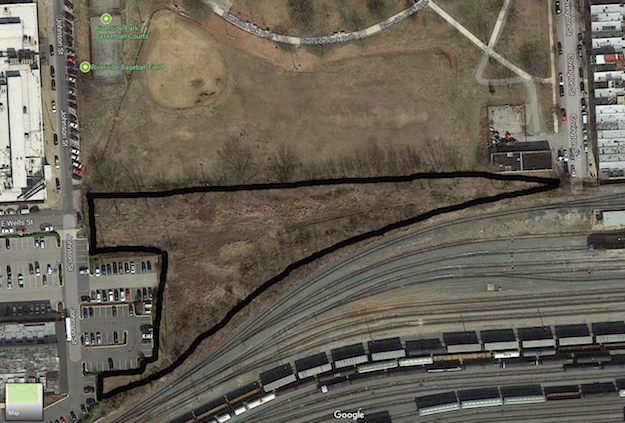 West Waterfront Park will be on the western shore line. East Waterfront Park is a new park surrounding Sagamore Spirit Distillery in Port Covington. 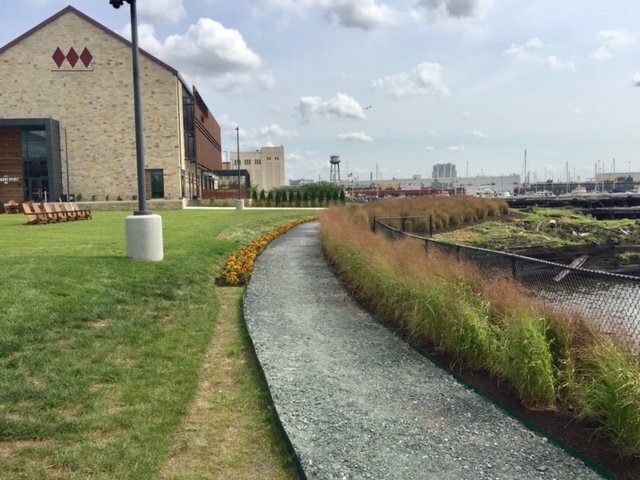 It currently features “The Lawn” in front of Rye Street Tavern and new path has also been installed along the waterfront. The park will be expanded and improved in upcoming years. The park will have several sections and a ribbon path running through it. In the western section of the park, the path will have a green tint which will change to blue as it runs along the water. Portions of the path will also have a ramped concrete edge along the sides for skateboarders, a feature designed with the help of Port Covington’s Bustin Boards. A natural peninsula on the western end of the park will be called the eco peninsula. The peninsula will be used as a walkway and outdoor classroom with a living shoreline where the team is hoping to create fish nursery structures. An elevated perch will overlook the eco peninsula and multiple paths will allow visitors to get closer to the water and environmental elements. An existing archaeological pier will be rebuilt, however it will keep the original concrete structure however newer, more stable surfaces, including wood and gated stainless steel decks, will be added. The pier will include trees and gardens; kayak storage and landing; a water taxi landing; and boat slips for visitors, as well as ecological elements, including austere nurseries, fish hives, and biohuts. There will also be a floating bridge connecting the pier to the eco peninsula. The eastern section is called Linear Park. This area has the least amount of depth off the water. A boardwalk will run along an existing concrete bulk head. The shore will feature floating wetlands and a water filtration device will be installed to help with the water quality. Funding: East Waterfront Park will be funded by Sagamore Development along with TIF bonds. In Sagamore’s approved TIF proposal to Baltimore City, $19,633,000 was earmarked for East Waterfront Park and $26,055,000 for the archeological pier. Downtown Partnership of Baltimore reopened McKeldin Square in October following a $4-million renovation. The triangular park sits between Light St. and Pratt St. adjacent to Downtown and the Inner Harbor. The park is named for Theodore McKeldin who served as Mayor of Baltimore from 1943-1947 and 1963-1967, and as Governor of Maryland from 1951-1959. McKeldin Square’s new design is the result of an extensive public process to create a more open and adaptable space available for use all year-long, according to Downtown Partnership. Architecture firms involved in the project include Ayers Saint Gross, Land Collective, and Ziger Snead. To accommodate the new design, a “deteriorating” concrete fountain that once occupied a majority of the park was removed. Materials from the old fountain were repurposed into architectural elements that frame the plaza, which now has three times the amount of public space. The new park also allows for better sight lines of Downtown and the Inner Harbor. Funding: To complete the renovation, a third of the funding came from private sector donations including from T. Rowe Price, a third came from Baltimore City, and a third came from the State of Maryland. In 2014, Under Armour funded $1.5 million of improvements to Latrobe Park. This included the construction of Banner Field and improvements to the existing playground. Banner Field brought a turf field, a scoreboard, a sound system, new paths, and a parking lot to a former grass field. Improvements to the playground included new shading structures to the southern side of the playground, a rubber surface added to the northern side of the playground, and a new toddler area. Restoration of turf over a multi-year period beginning in fall of 2015. Funding: SHR and partners Recreation and Parks, the Commission on Historical and Architectural Preservation, the Baltimore Tree Trust, the Downtown Baltimore Family Alliance, the Federal Hill Neighborhood Association, and the Waterfront Partnership of Baltimore. In 2016, Chesapeake Realty Partners, owners of the adjacent 2 East Wells and 1901 South Charles developments, secured a 10-year lease with the City to adopt and maintain a lot at the corner of E. Wells St. and S. Charles St. Chesapeake removed the fence facing the alley; added new landscaping and trees on the lot; and installed benches, pavers, and dog waste pickup stations. Chesapeake maintains the lot. In its first budget, SBGP will invest $1.4 million in casino Local Impact Grants towards South Baltimore parks and public spaces. SBGP will spend the next 90 days touring South Baltimore parks to determine areas of need before deciding how to spend the $1.4 million. The funds will go toward enhancements, maintenance, and programming at the parks. 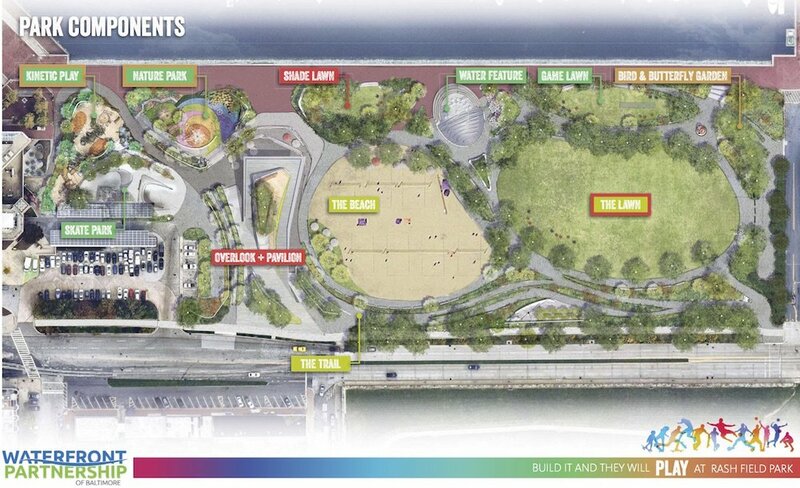 Sagamore is planning more parks for Port Covington, which will have more than 40 acres of parks including passive park Founder’s Park, Urban Plaza, and several small parks throughout. The space underneath I-95 along McComas St. is envisioned as an “urban playground” used as an “incentive to come further into the development.” Recreation facilities, such as basketball courts and skate parks, are proposed for this area.